If you regularly shop for big and tall sizes, you already know it’s frustrating. A lot of big and tall retailers assume that if a man is big, he’s also tall, and vice versa. But that’s not always the case. You can be one or the other, you can be both, and you can have your own unique needs. On top of all of these issues is the fact that a lot of clothing stores don’t know the difference between big and tall even though they sell plus sizes. 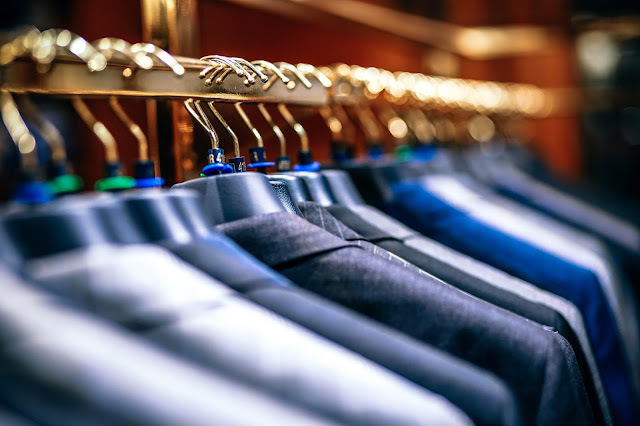 Here’s a quick guide to shopping for big and tall clothing for men. Big or Tall: Which is Right? Tall men are 6’2” or taller, but they’re not always big. Big men have large hips, chests, and waists. A tall man might need a long shirt, but not a big one while a big man might need pants with a broad waist, but not a long inseam. To complicate matters even more, his length may reside in his torso or his legs. If he has long legs, he may need to shop for big and tall pants but can shop at a normal clothing store for his shirts. This exercise isn’t difficult, and it should be straightforward, but unfortunately, retailers make it complicated. Knowing what you need in advance or shopping online makes the process a bit easier. Going into your shopping experience with the information you need about your size will help tremendously. Measure yourself and keep track of these measurements so you can find the right size, even if an XXL varies among manufacturers. With accurate measurements, you can shop anywhere, and it makes the process seamless and less frustrating. You can make better choices, purchase better items, and prevent wasting your money or the hassle of returns. Knowing what you need and finding what you need is very different, but armed with this knowledge, it will be less confusing. You can find exactly the right size almost anywhere if you know what to look for.